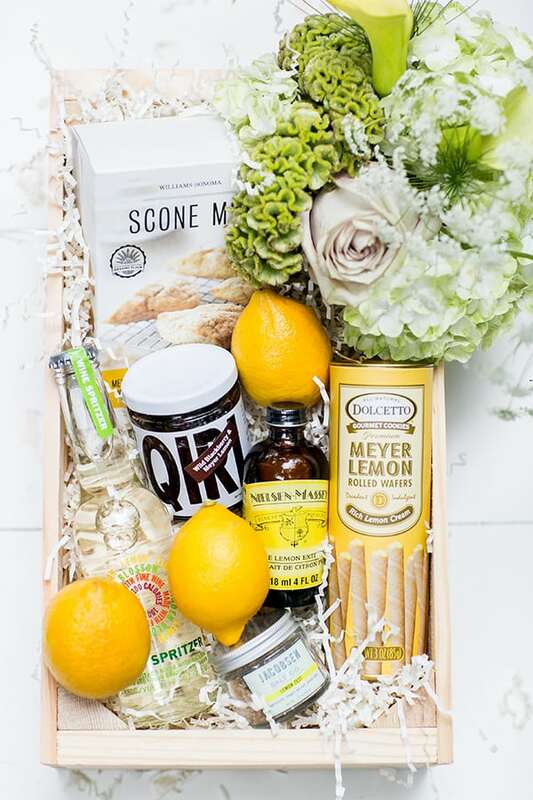 When presenting a gift to a hostess, teachers, friends or family, I love creating a charming box full of delicious goodies, and of course a bouquet of flowers!! There’s something special about a gift box that shows a lot of love and thoughtfulness was put into it! 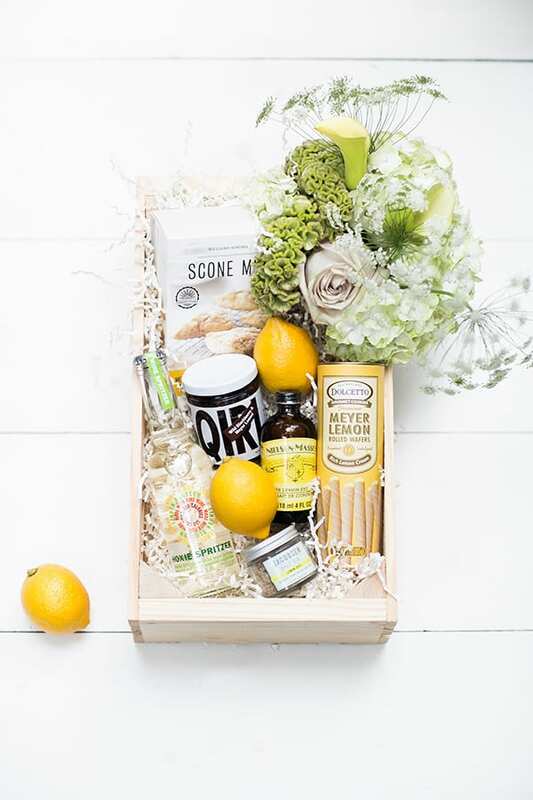 For this box, I went with a food and lemon theme since we have the most beautiful lemons growing in the back! 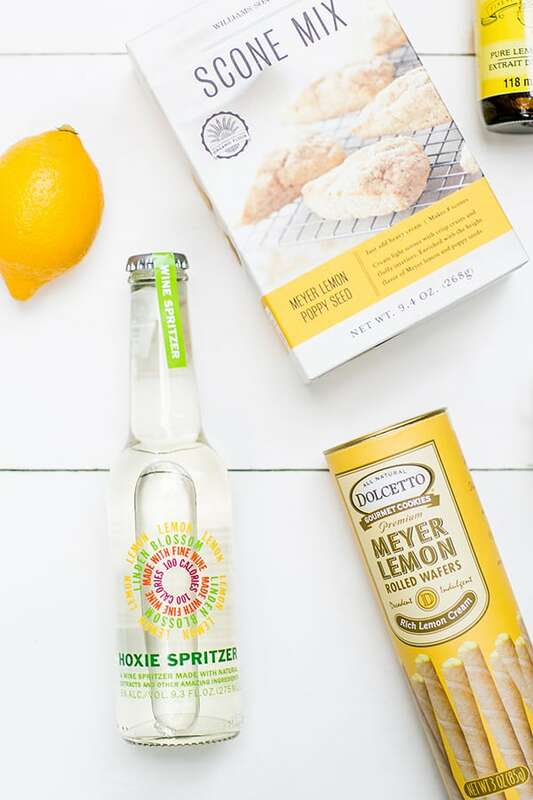 I sought out all products that were lemony and refreshing, and added a few lemons from home too. 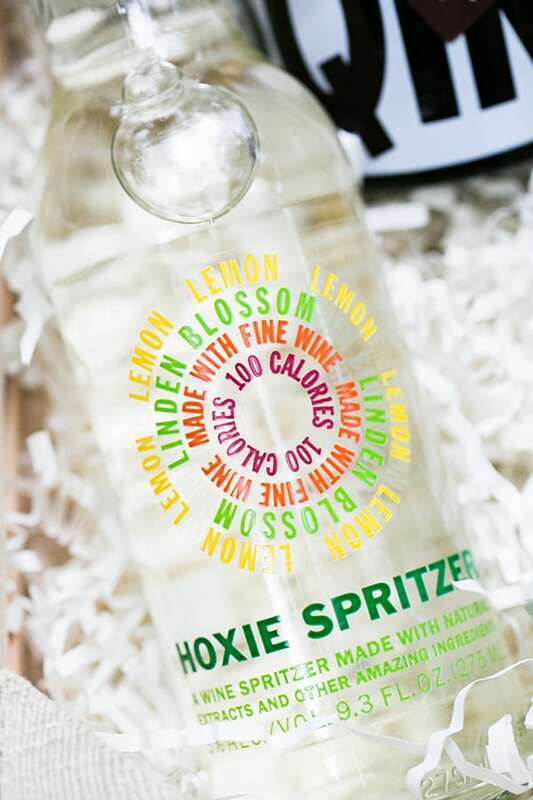 To find products, I often head to food boutiques, Williams-Sonoma or online. 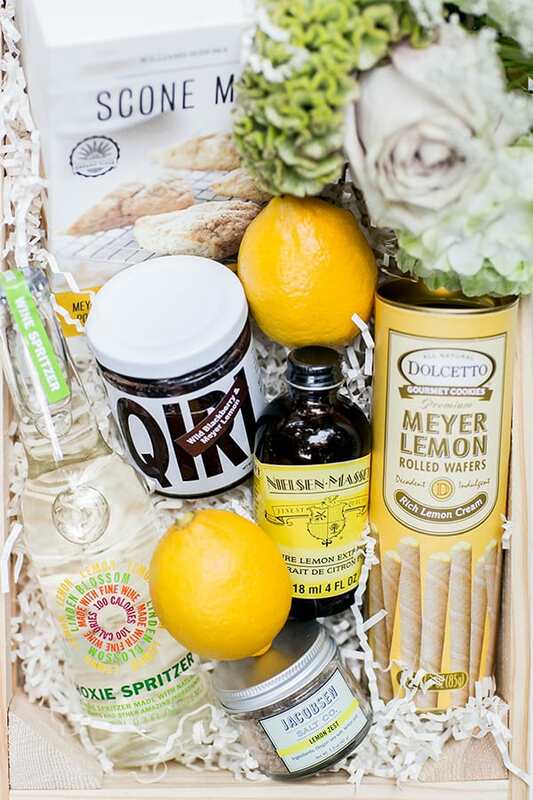 If you’re in LA, Joan’s on Third has great items for a DIY food gift box! 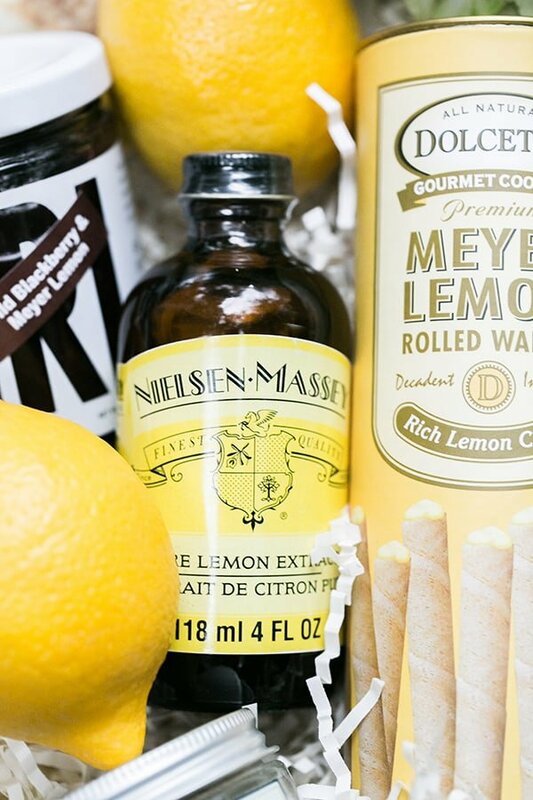 So here are 3 of my favorite tips for creating the perfect gift box! 1. Pick a theme! This helps when deciding which products should go in the box, and you can choose a theme the gift receiver will love. Some of my favorite themes are chocolate, olive oil, wine, lavender, rosemary, cucumber and for the holiday, gingerbread or cinnamon are also be great. There are SO many fun themes!!! 2. 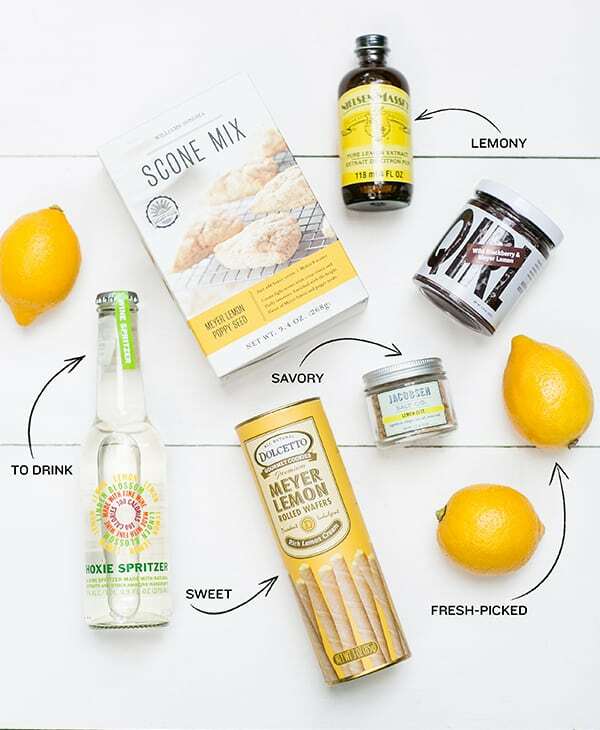 Have a variety of items in the box… something savory, something sweet, a drink, something fresh and local, or picked from home. 3. Add a small bouquet of fresh flowers to the corner. Either pick these from home (depending on the time of year! ), or buy some from the grocery store and rearrange them in a small vase. See more of my tips on Martha Stewart! 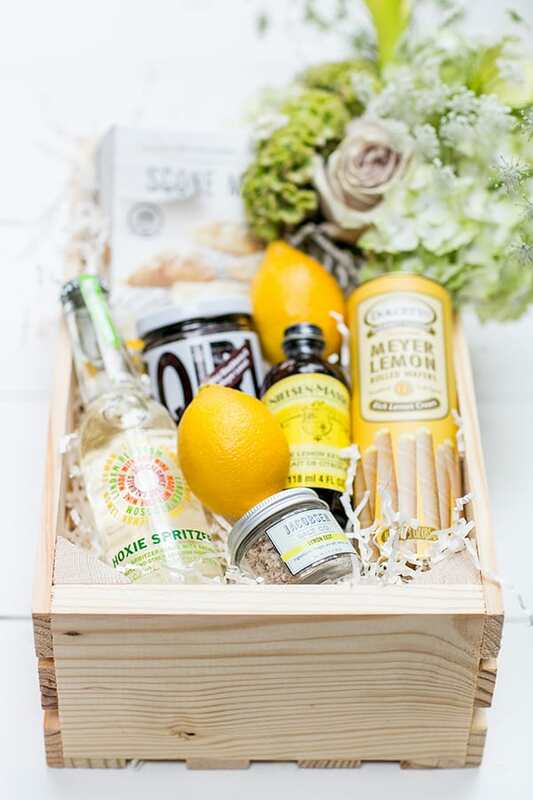 9 responses to Tips for Creating The Perfect Gift Box! What great ideas…and I LOVE yellow!! I love giving gift baskets for holidays! They are just so much more personal since you can tailor it to the recipient. 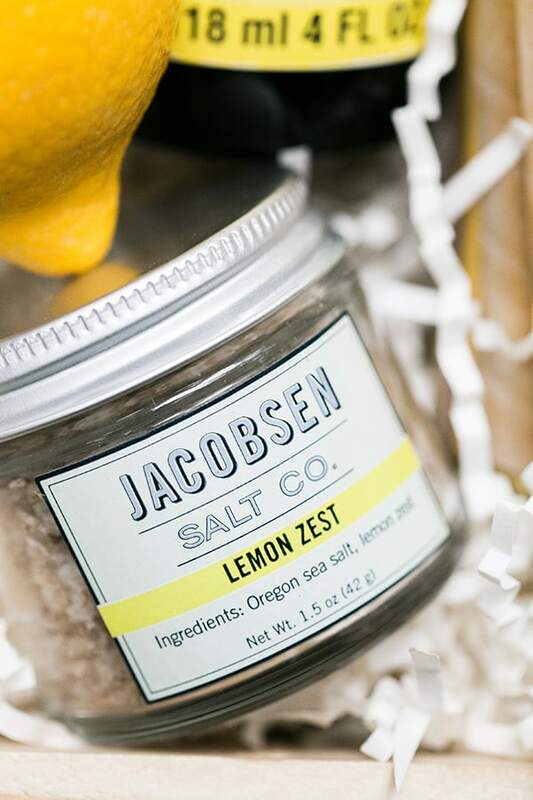 I’ve found a few great new gift basket companies as well, for those of us that just don’t always have the time to put them together ourselves 🙂 This is a great tutorial though! 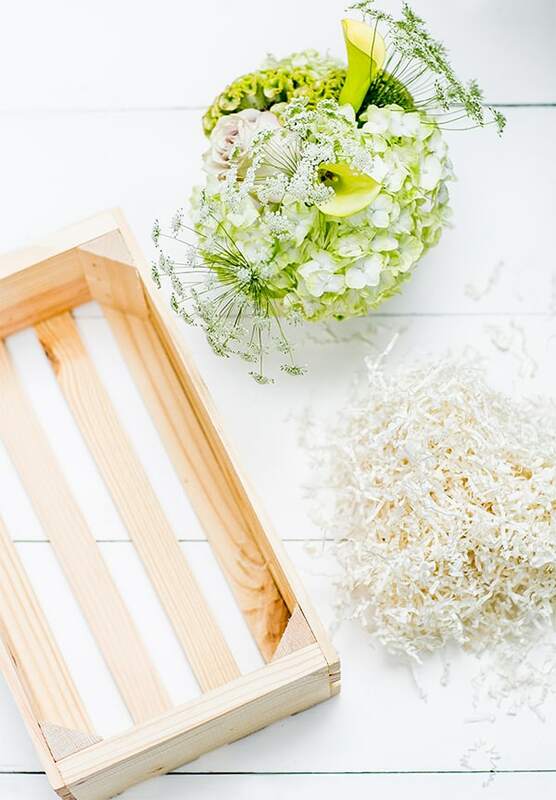 That’s true that a theme when you’re putting together a gift box or basket can make the items really mesh well together. I like the idea of having a cinnamon theme for the holidays. It’s not only delicious, it’s festive! I’ll have to give this a try. After all, it’s getting to that time of year where I have to come up with quite a few gifts.